The Exhibition and event is a result of a residency by the artists in MoKS August 2014. A panel discussion will explore the work in the exhibition, the residencies that spawned the work in 2014, and the individual artists’ practice. The discusssion will be chaired by Tanel Rander of the Y Gallerii. Following this there will be an excursion through the forest to the North West of Mooste village, to a point of interest of the artists. This excursion will incorporate performances, speeches and swimming. Please bring comfortable footwear. Those Who Swim/Journey (in) The Forest is an exhibition, symposium and performances of work by three Irish artists that was initiated in the context of the Estonian forest. Using the Irish relationship with forest as a metaphor, and the mapping of cognition, history and landscape as a methodology, this work identifies the hidden treasures and the hidden dangers in the human psyche, in national identity and in sites where people and landscape interact. 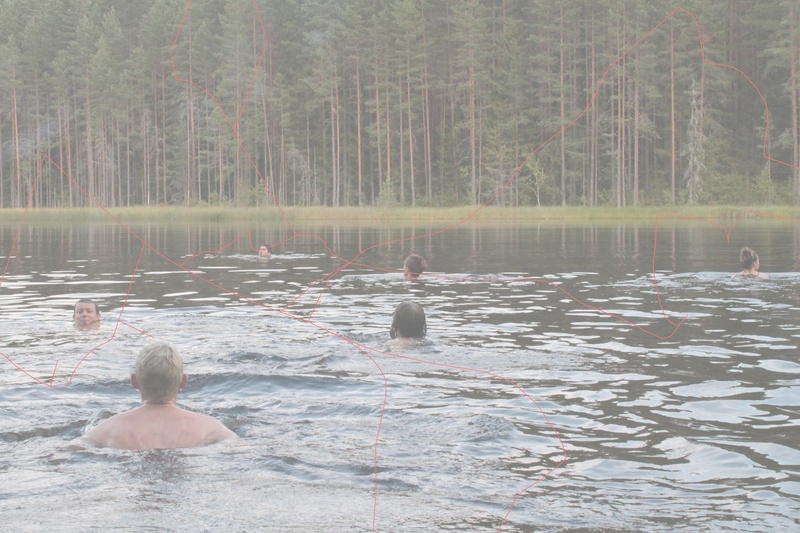 Those Who Journey (in) The Forest and Those Who Swim (in) The Forest is made possible through the generous support of the Embassy of Ireland Estonia and Cavan County Council Arts Office, Ireland. The 2014 residency was organised by Cavan County Council Arts Office in Ireland and funded as part of the EU Leonardo Da Vinci Programme. Alan-James Burns is a Dublin, Ireland based artist whose work examines the material elements and mechanisms of audio and video along with current understandings of cognitive science to visualize and convey inner dialogue. Born in Cavan, Ireland in 1978; Cochrane's practice explores memories that remain embedded in the landscape, recording parallels that intersect between spatial hierarchies, ecology and consumer topographies. Michael Holly is an Irish artist who works with photography, video, and didactic museum installations. He has a particular interest in the use of fictions and parafictions in contemporary art, and uses these modes to explore themes of national and cultural memory.